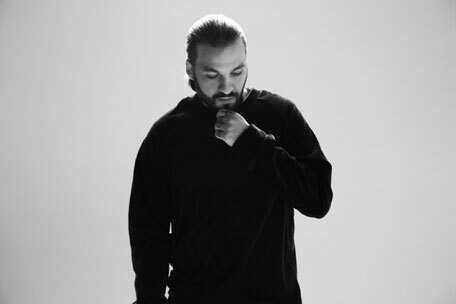 Steve Angello recently released ‘Inferno’, the second act of two tracks from his upcoming album ‘Almost Human’, featuring two previously-unreleased songs: ‘Freedom’ featuring rap artist Pusha T, and ’I Know’. Opening track ‘Freedom’ features a pulsating, heartbeat rhythm of a drumbeat that makes way for an industrial, hypnotic bassline, before the voice of Pusha T proclaims: “America’s ours” ahead of the song’s drop. Next comes the distorted crunch of ‘I Know’, which fires shots of bass across a dark soundscape, as the kick drum keeps things driving. The track’s crisp, soulful vocal soon gives way to an ‘80s-inspired arpeggiated synth, putting a retro, uplifting twist to this futuristic, apocalyptic track. The dark, dramatic sound of both tracks from ‘Inferno’ follow on thematically from Steve’s previous release ‘Genesis’. ‘Genesis’ and ‘Inferno’ will be followed by a third act, before Steve releases his album ‘Almost Human early next year. The three acts of ‘Almost Human’ reflect the varying stages of Steve Angello’s life: After feeling disillusioned by his craft and following a recent spiritual awakening, Angello decided to reinvent his live performances by creating the three acts - each embodying its own universe: Genesis, Inferno, Paradiso. Steve has also recently announced he will perform at the London venue Printworks on Friday 24 November. This show will be his first live performance in the UK since releasing new material from upcoming album.